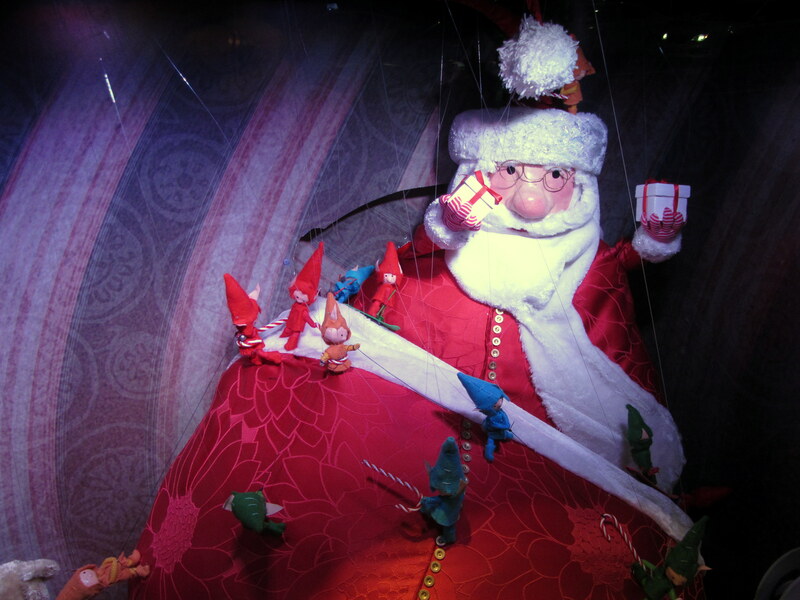 Queen Street is getting into the festive spirit with Smith and Caughey’s annual Christmas window display and the giant Santa erected on the corner of Queen and Victoria Street. This past weekend the infamous giant Santa, his two reindeer and presents were erected on the side of the newly opened Farmers store on the corner of Queen and Victoria Streets. 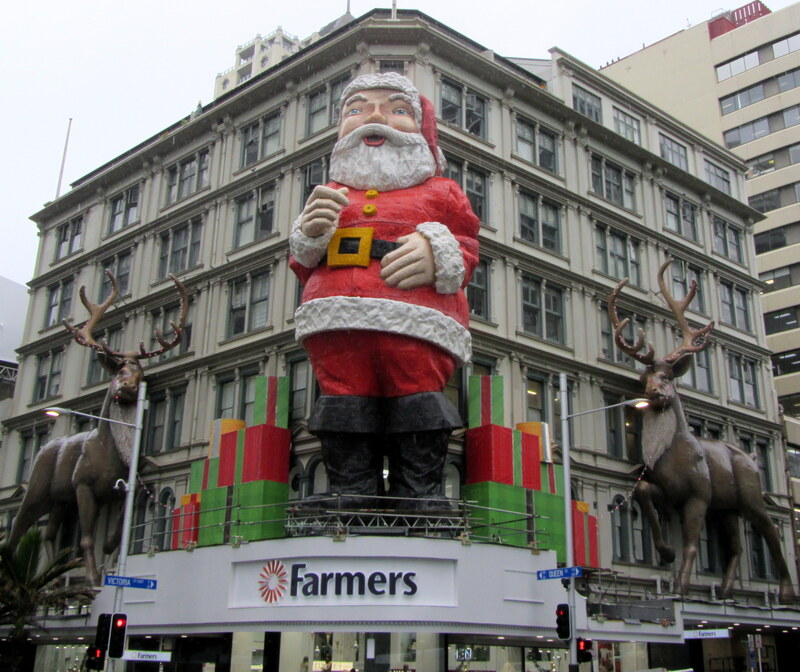 The giant Santa had his origins with Farmers, from 1960 to 1990 the sculpture was displayed on Farmers’ Hobson Street store. 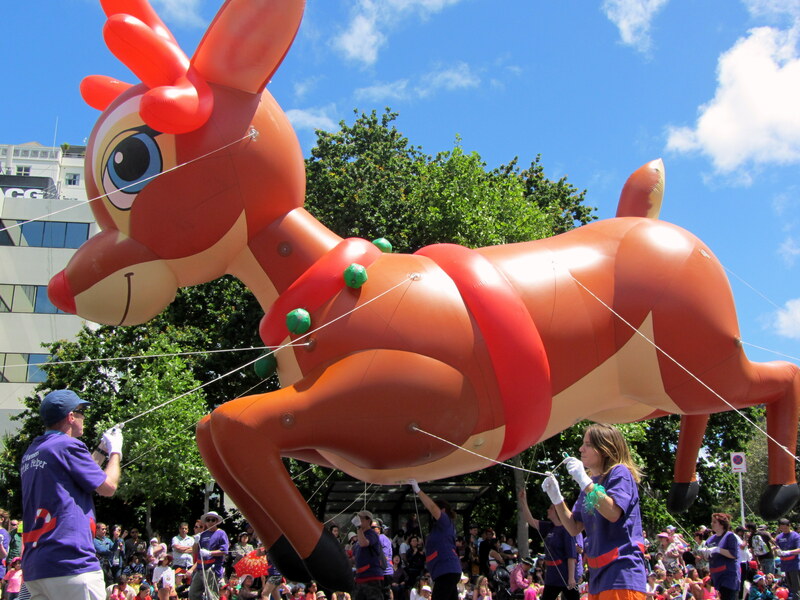 The Auckland Farmers Santa Parade, which travels down Queen Street is coming up on Sunday November 29th with a new starting time of 1pm. 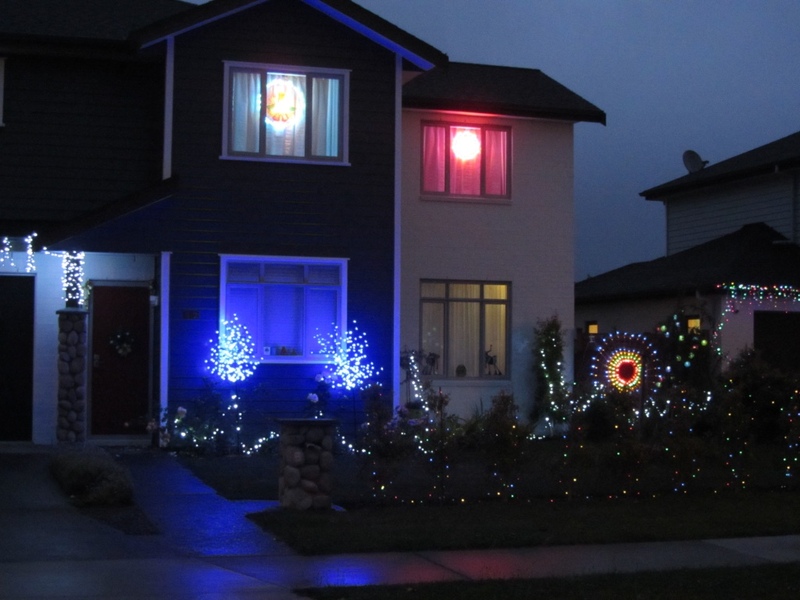 The rain date is Sunday 6th December. 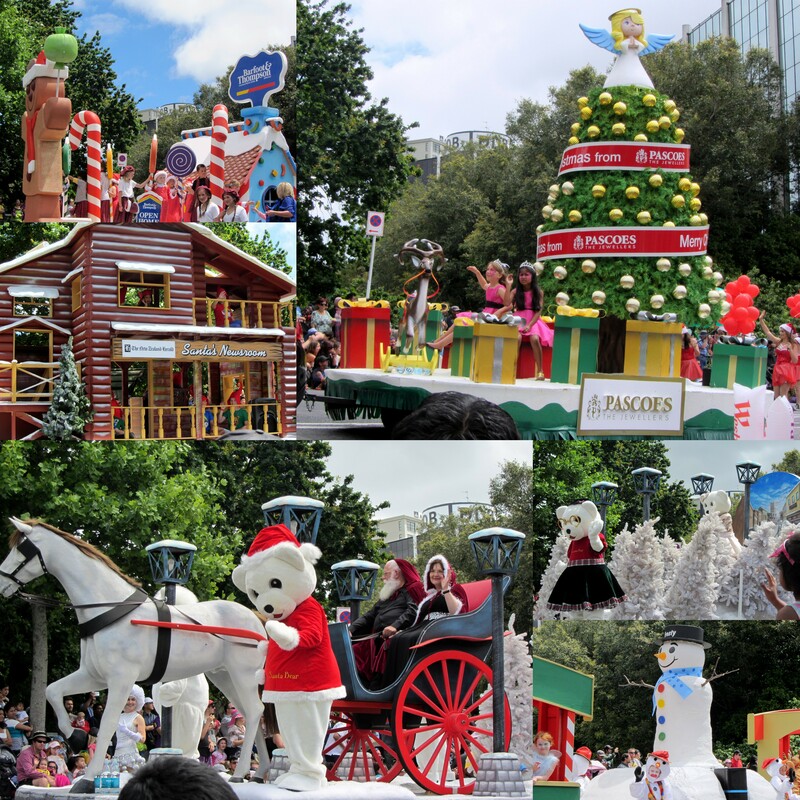 For more pictures from the 2014 Auckland Farmers Santa Parade check out my blog post from last year. 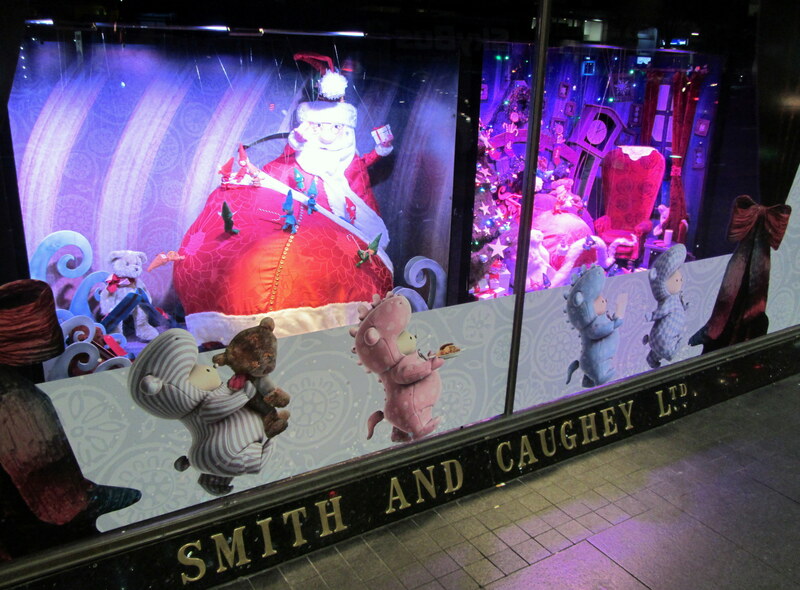 Earlier in the month Smith and Caughey’s (253 – 261 Queen Street) unveiled their annual Christmas window display. 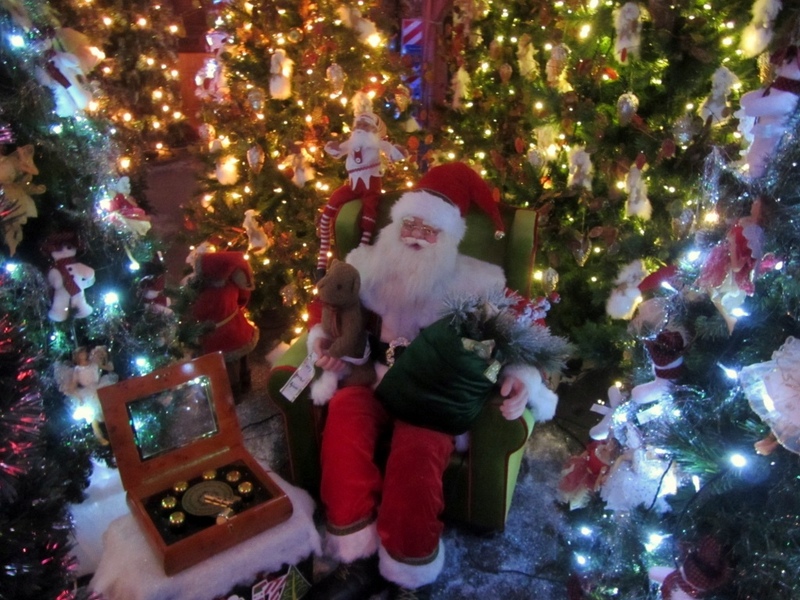 Santa will also be in store in Santa’s Enchanted Forest from November 24th to December 24th. Check their website for more details. 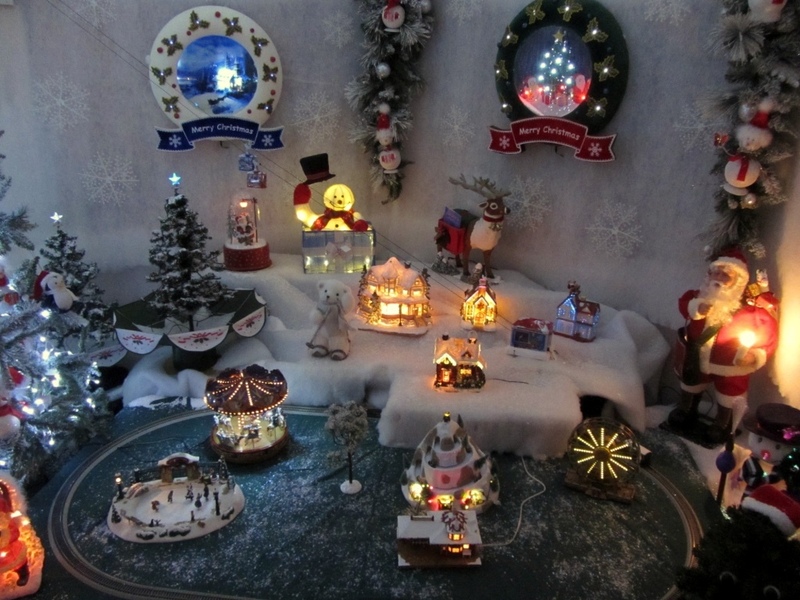 This year’s display is inspired by Clement C. Moore’s (1799 – 1863) classic Christmas poem ‘Twas the Night Before Christmas. 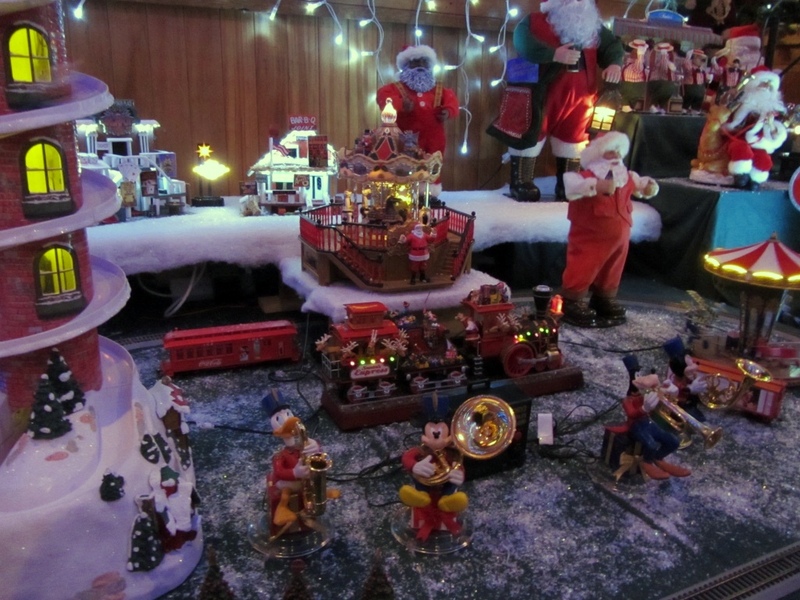 The display features mechanical puppets and music. 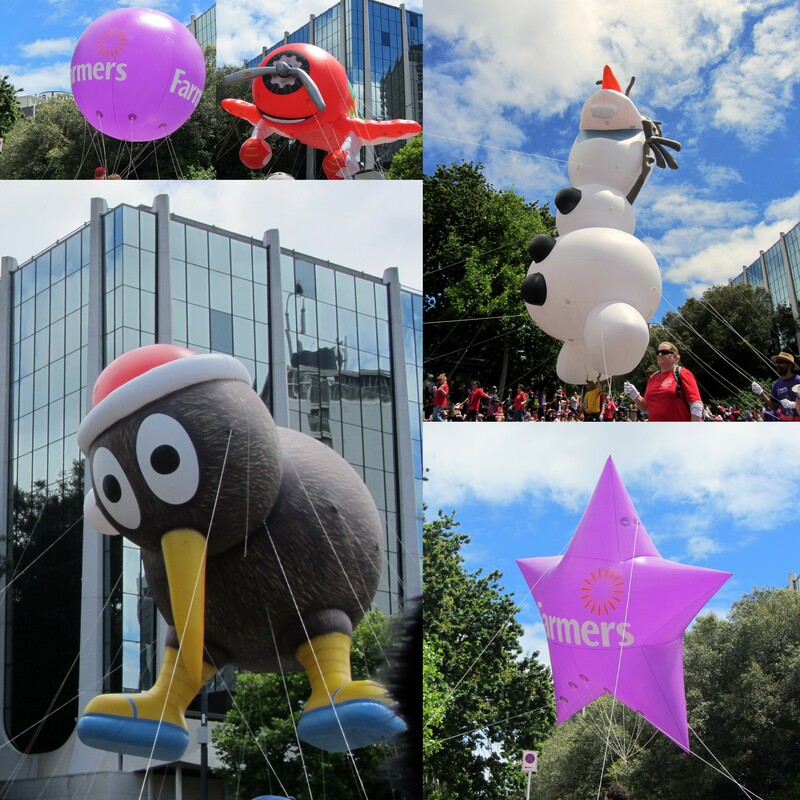 Tens of thousands of people lined the streets this afternoon for the 81st Auckland Farmers Santa Parade. The Parade was introduced in 1934 by Farmers founder Robert Laidlaw and has been running strong ever since. Prior to the parade volunteers collected for the Child Cancer Foundation. 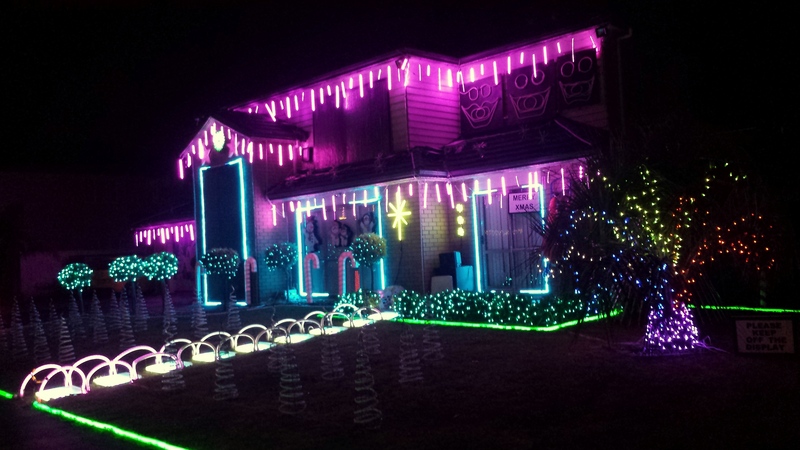 There is a link on their website if you wish to donate. 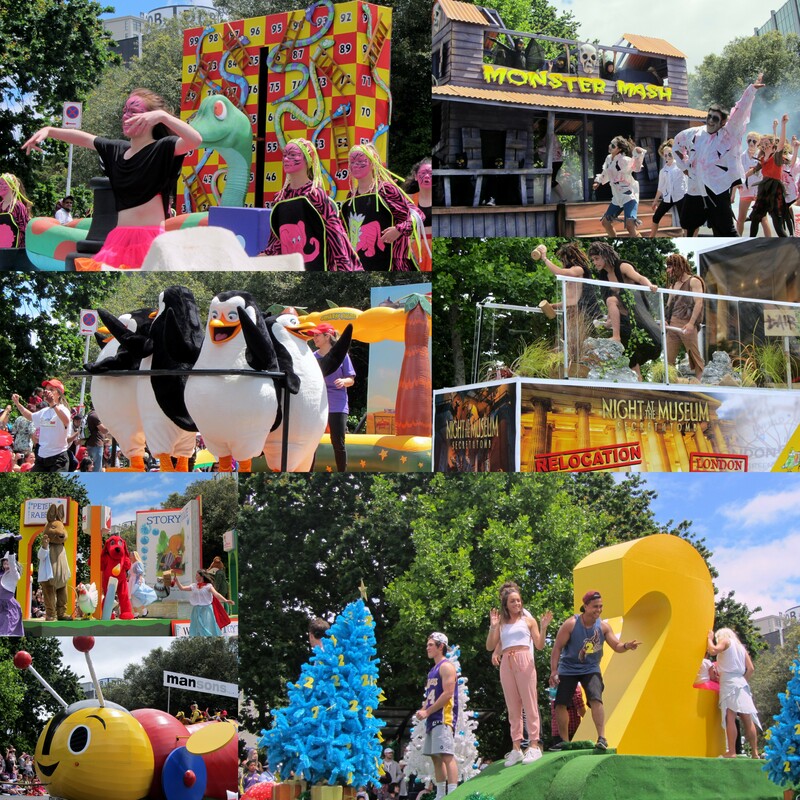 The Parade started at 2.00pm, and travelled a 2.2km route starting at the corner of Cook Street and Mayoral Drive, before turning left and travelling down Queen Street, then turning left onto Customs Street West and up Albert Street, finishing at Albert and Wellesley Streets. 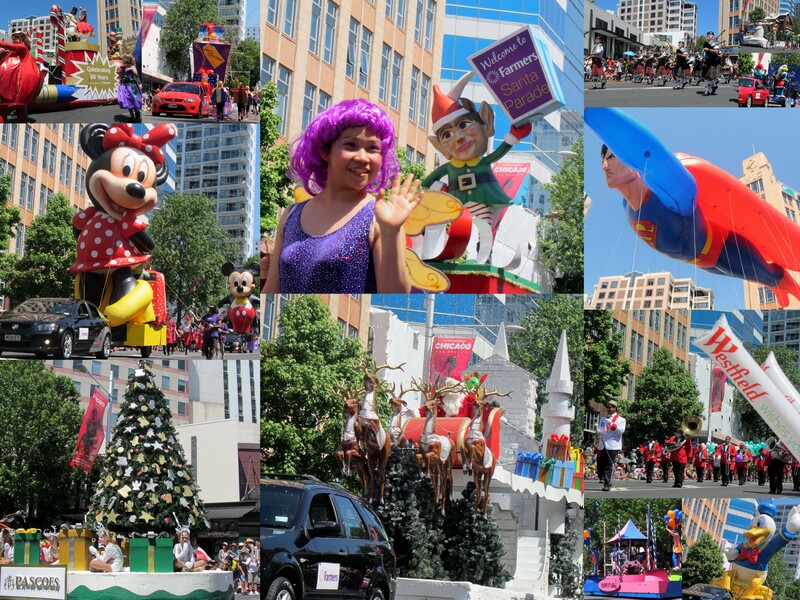 The Parade was followed by Santa’s Party in Aotea Square hosted by Stacey Morrison from The Hits. 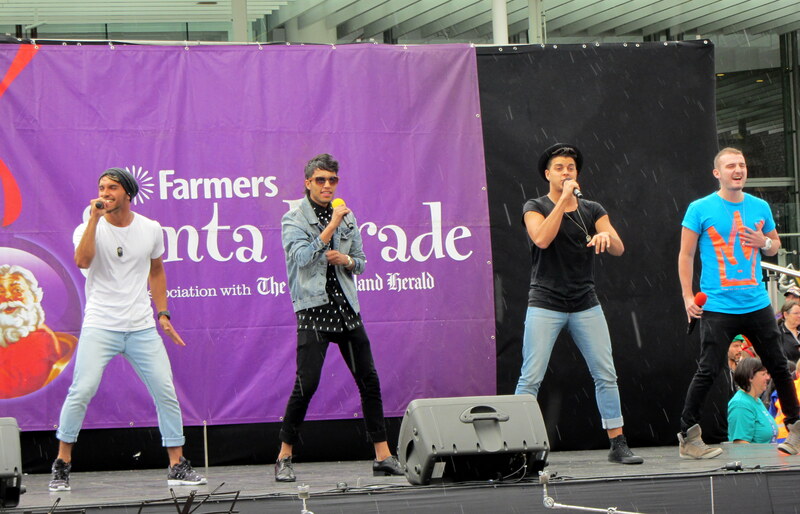 There were performances by the Kangoo Jumps, Popcorn the clown, Auckland City Theatre Academy, National Youth Theatre Company, West City Concert Band and pop boy band Titanium. 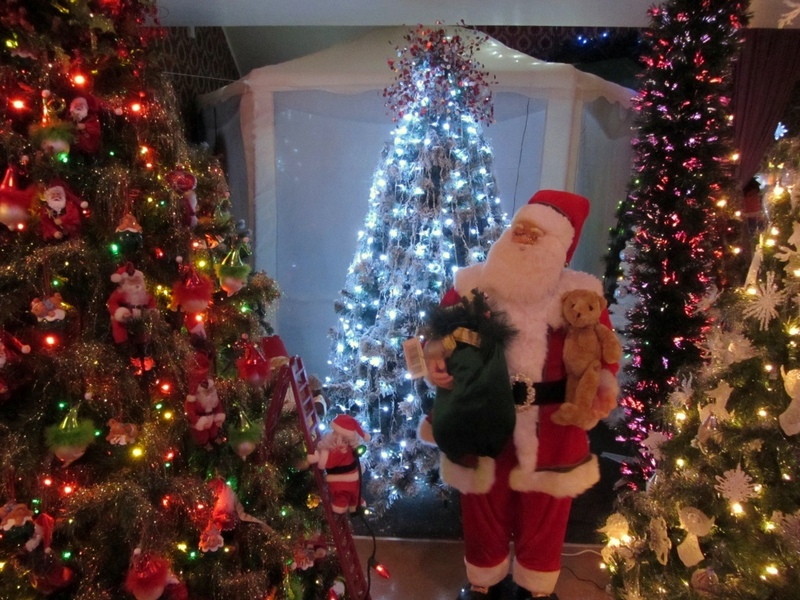 And an appearance by Santa Claus himself of course! 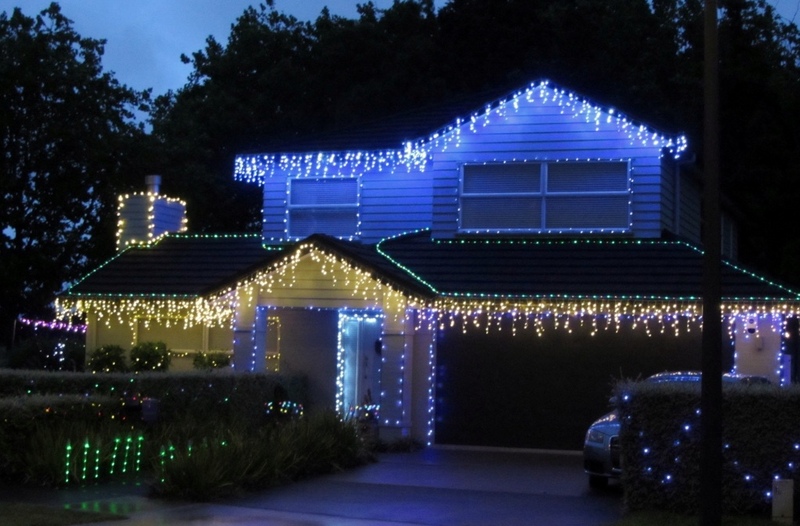 It is only mid November but Queen Street is already starting to get into the festive spirit. 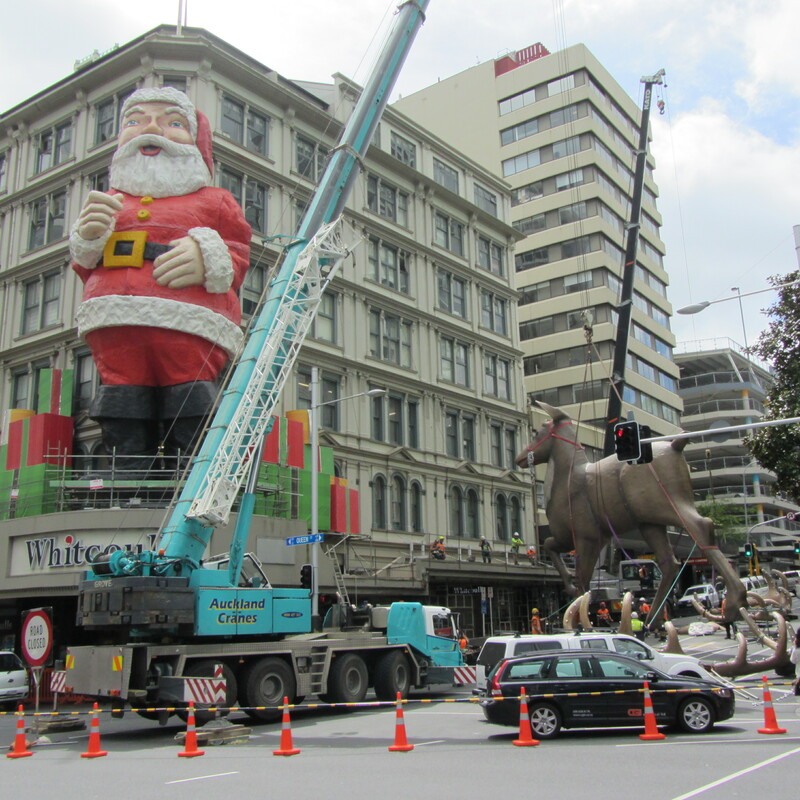 This past weekend the infamous giant Santa, two of his reindeer and presents were erected on the side of the Whitcoulls building on the corner of Queen and Victoria Street. In 1960 Farmers erected the giant Santa sculpture on the front of their building on the corner of Hobson and Wyndham Street. The sculpture weighed over 5 tons (4535 kg) and was nearly 18 metres (59 ft) tall. 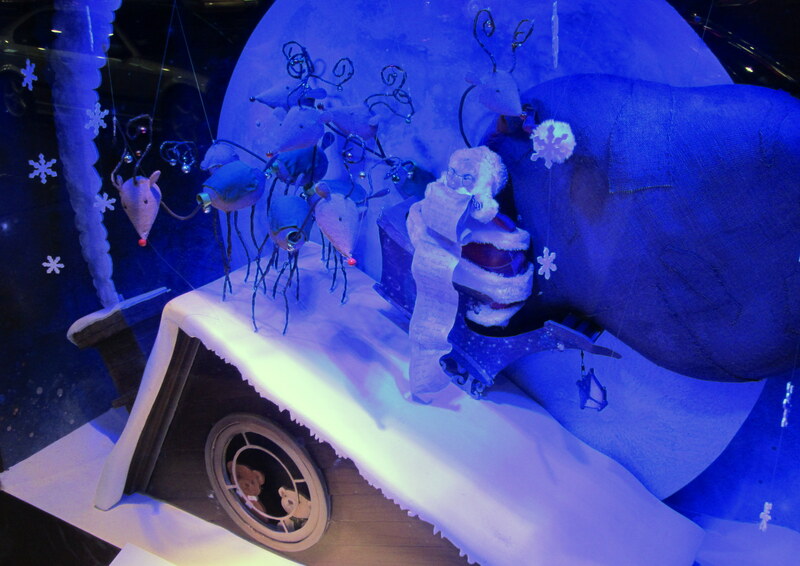 It featured a winking eye and a beckoning finger to encourage customers into the store. Over the years many Aucklanders found the beckoning finger and winking eye to be ‘creepy’. 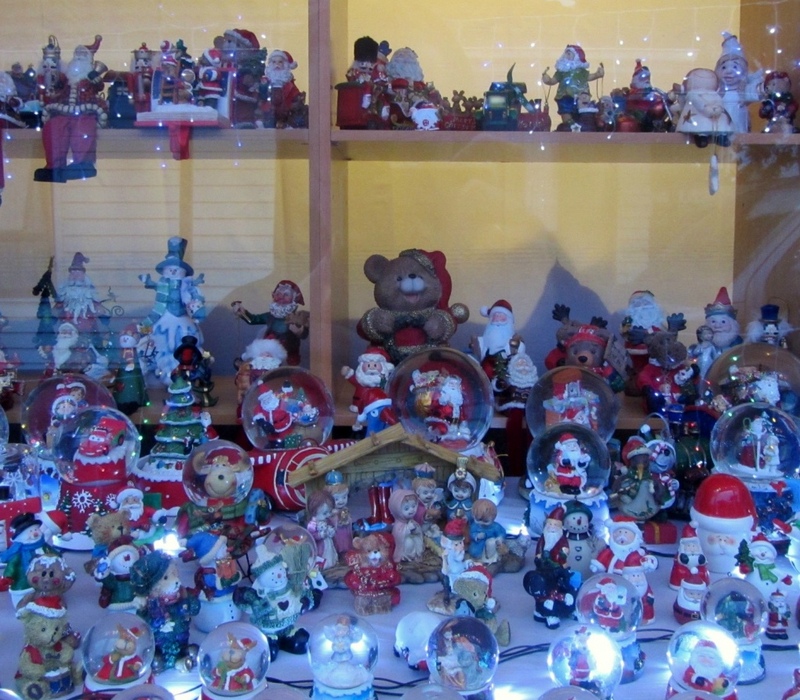 Santa was erected on Farmers’ Hobson St store every Christmas for almost 30 years. 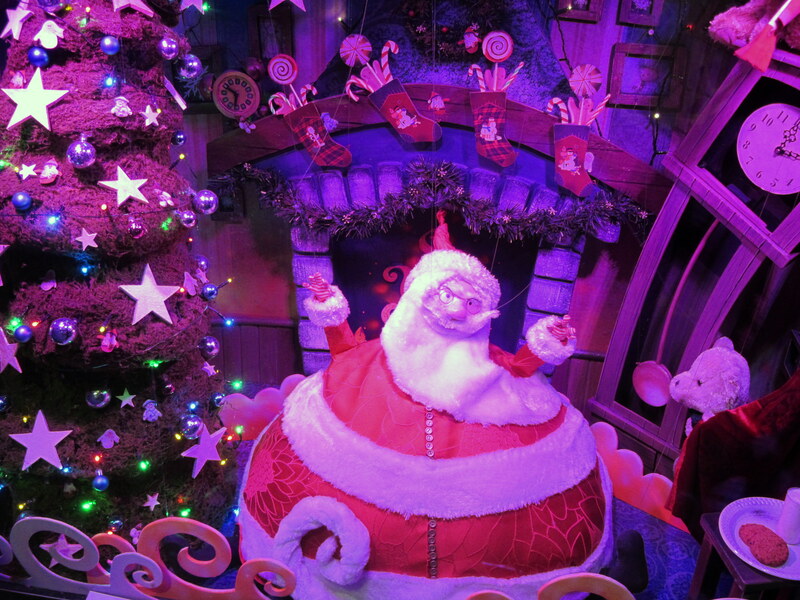 After the store was sold in 1990 the giant Santa was relocated to the Manukau Shopping Centre where he appeared at Christmas from 1991 to 1995. 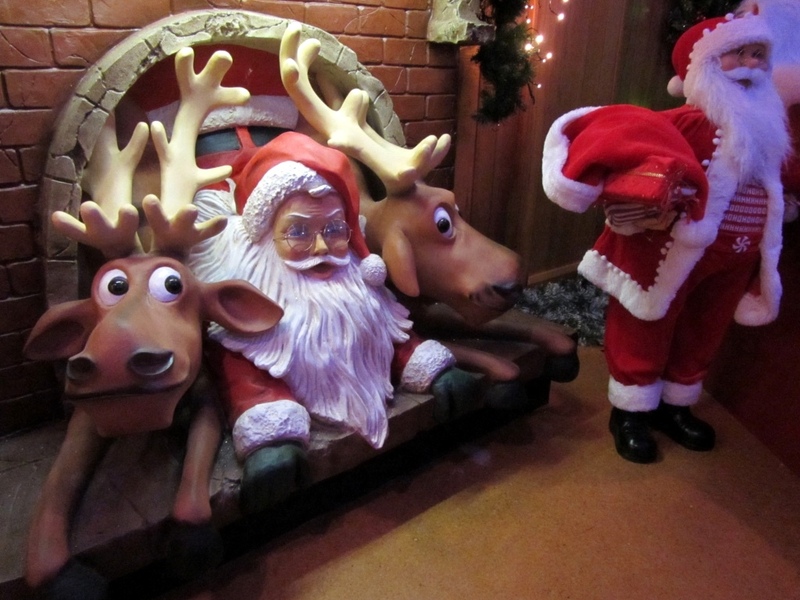 In 1996 the shopping centre decided not to put Santa up because of his tired and worn appearance. 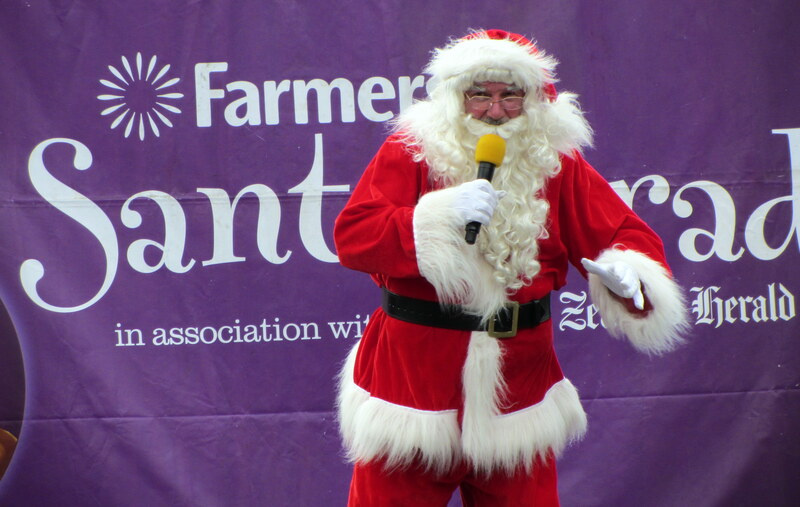 In 1998, Stephen Hanford purchased Santa from Farmers for $1. 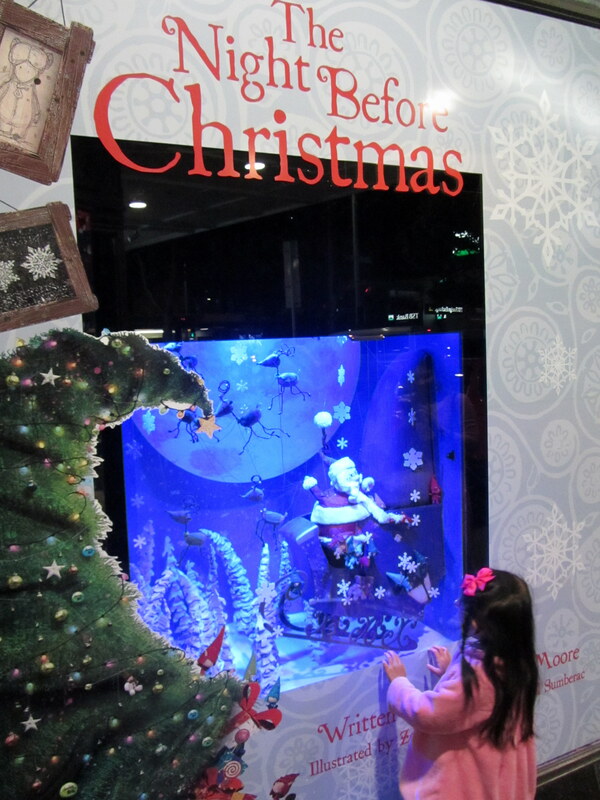 A restoration project began and Santa found his new home on the side of the Whitcoulls building on Queen Street. When Mr Hanford left the country in 2003 he transferred ownership to Whitcoulls. 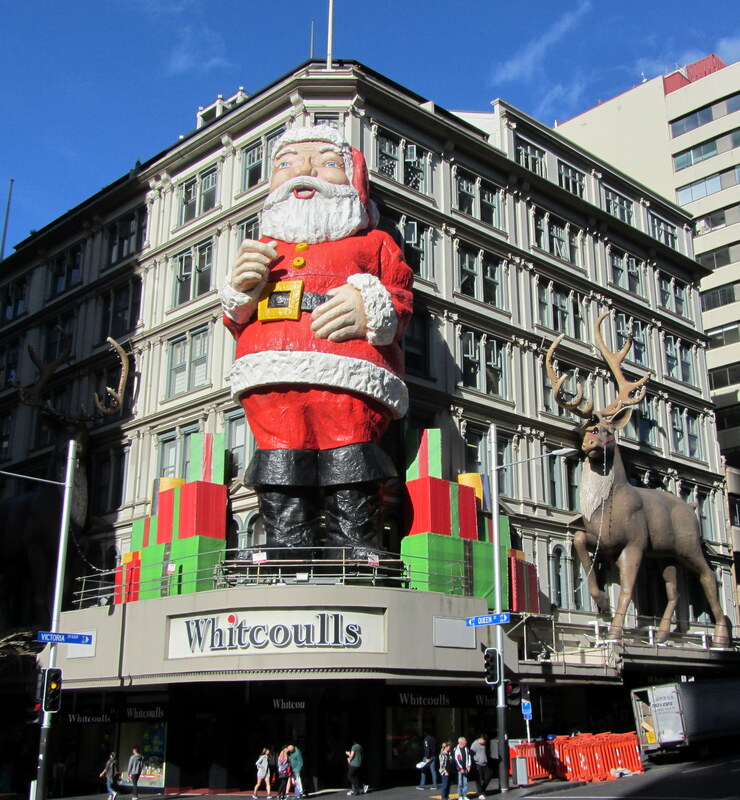 In 2008 Whitcoulls announced they could no longer finance the giant Santa and gifted it to the City. 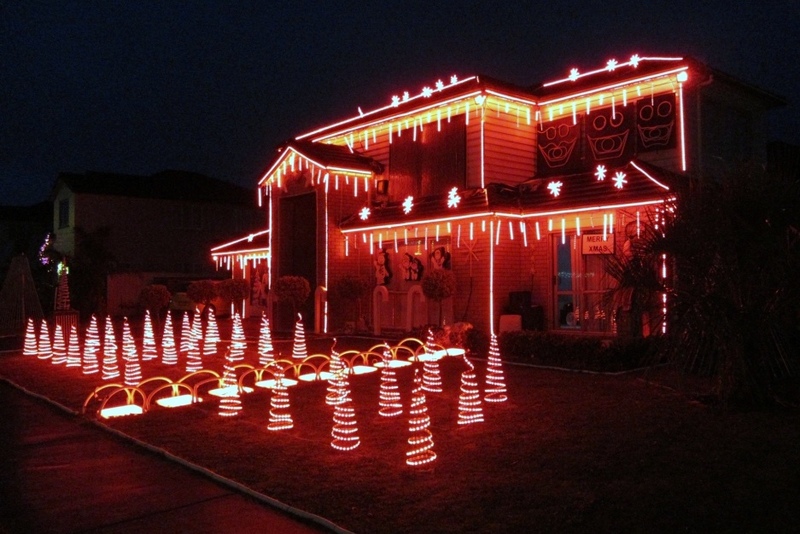 In 2009 Santa underwent a $100,000+ makeover, which included removing his ‘creepy’ beckoning finger. 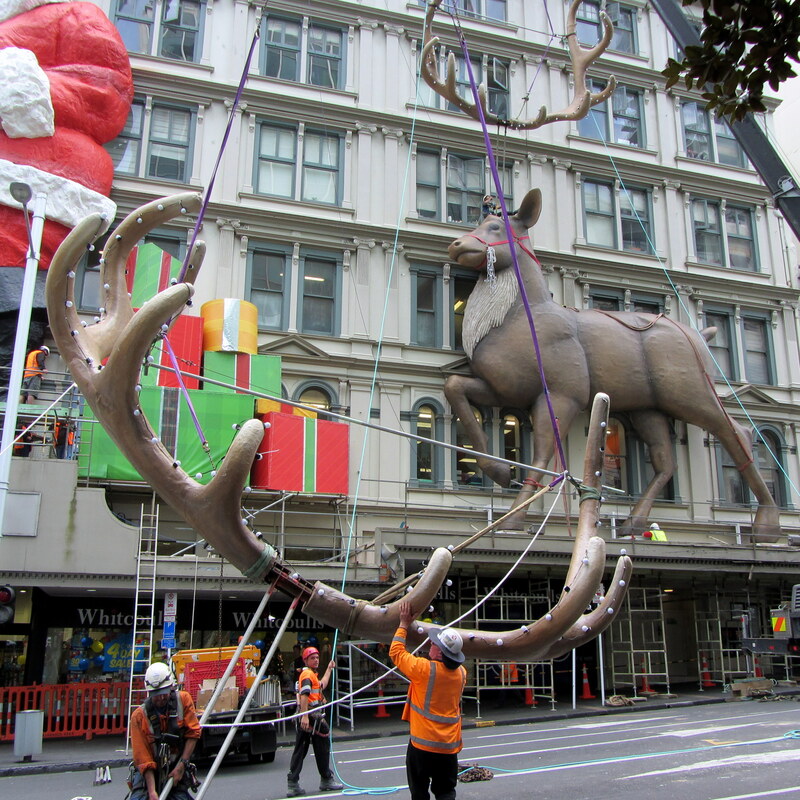 In October this year it was announced that Santa and his reindeer would not be returning this Christmas because Auckland’s downtown business association Heart of the City could no longer justify the installation costs of $180,000. It was a miracle on Queen Street! 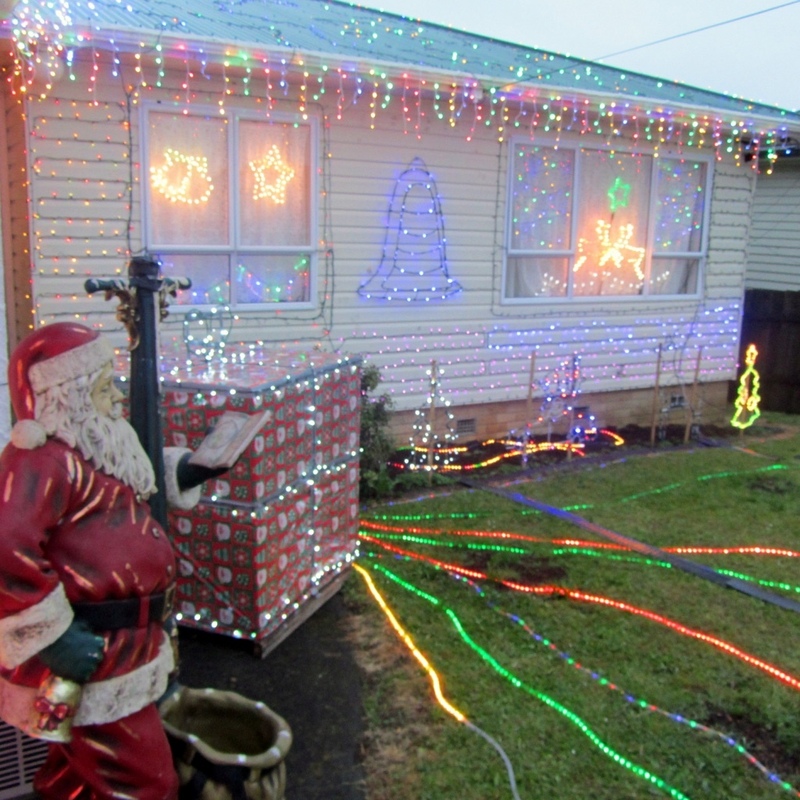 Auckland construction company Mansons TCLM offered to take responsibility for installing, storing and maintaining Santa. 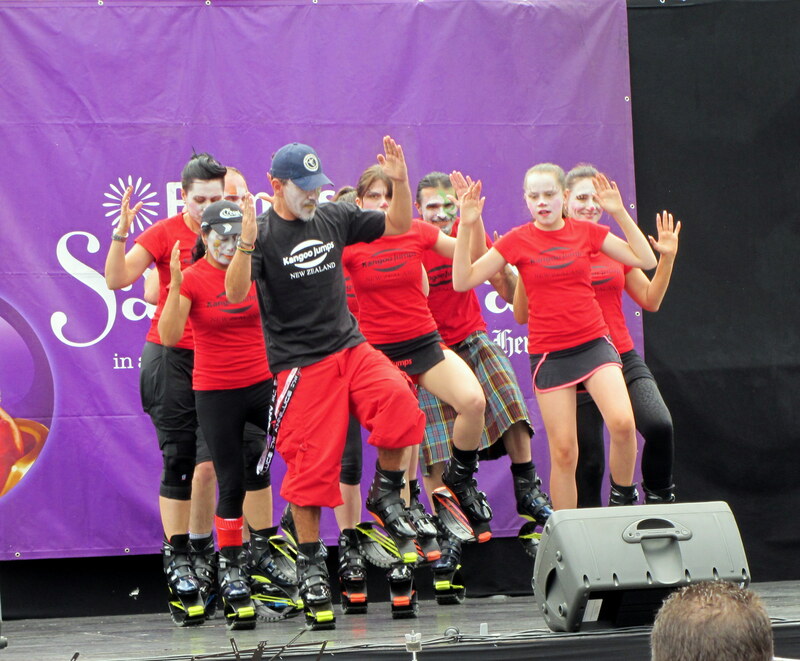 SkyCity also offered a $50,000 donation to the cause. Santa was saved. 11 swallows swoopin’, 10 sloops a-sailin’, 9 mermaids singin’, 8 dolphins swimmin’, 7 monkeys swingin’, 6 Jolly Rogers, 5 chests of gold, 4 cacklin’ hens, 3 black cats, 2 cutlasses, an’ a parrot in a palm tree. 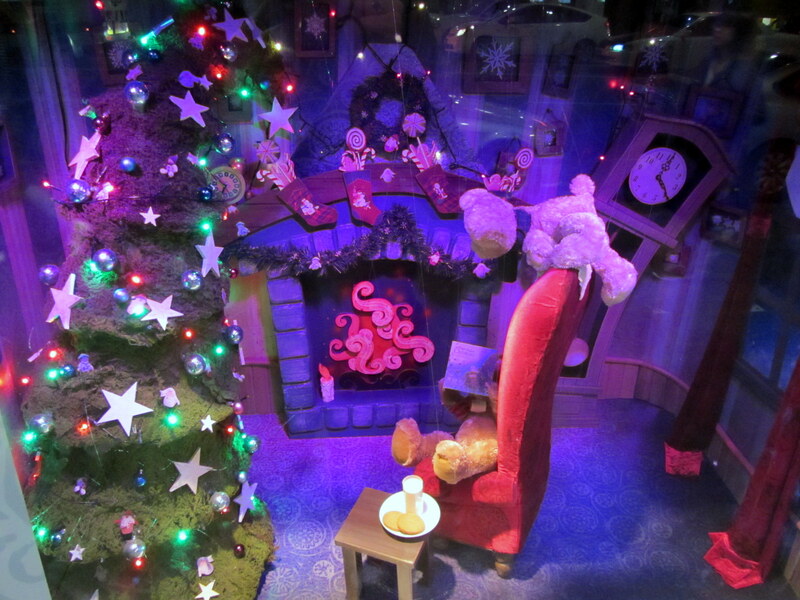 Last Thursday evening, department store Smith & Caughey’s unveiled their annual Christmas window display. 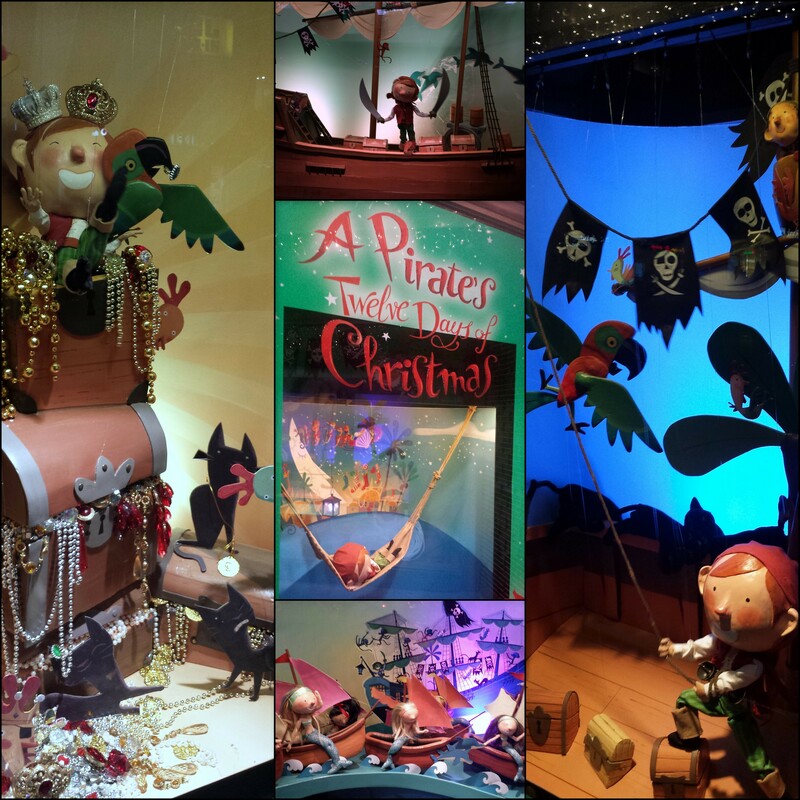 This year’s display is inspired by the children’s book A Pirate’s Twelve Days of Christmas, written by Phillip Yates and illustrated by Sebastia Serrà. 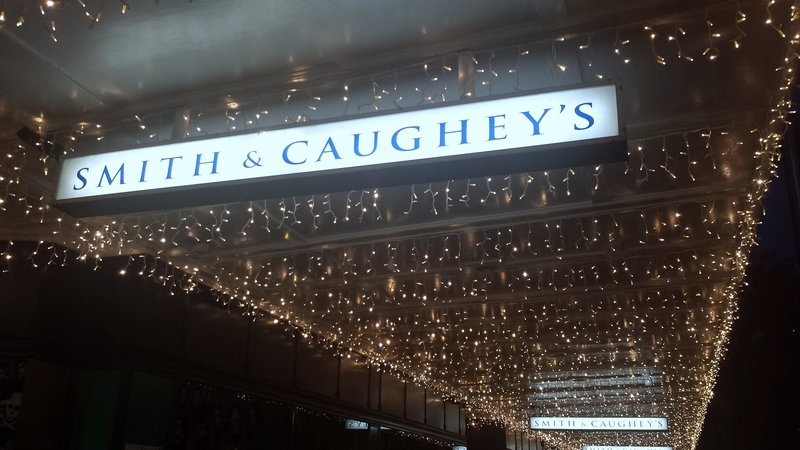 Smith & Caughey’s Christmas window display is on at their Queen Street store (253 – 261 Queen Street) until January 4th. 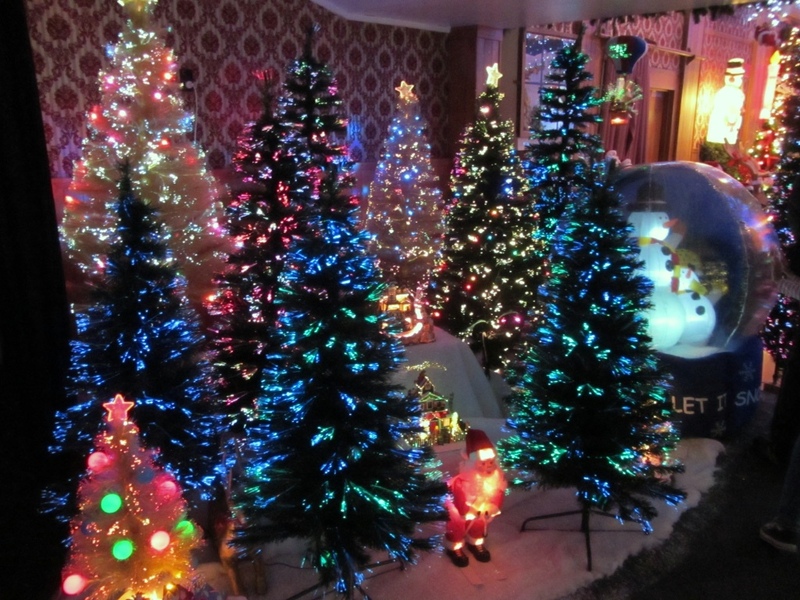 Also from 26th November Santa will be in store in their annual Santa’s Enchanted Forest. 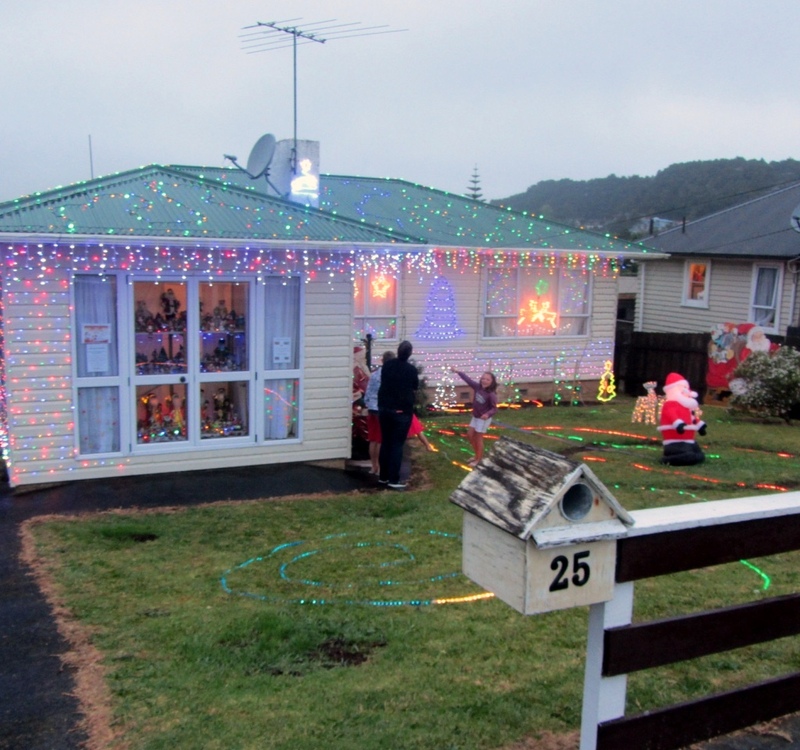 Coming up on Sunday 30th November (rain date Sunday 7 December) is the Auckland Farmers Santa Parade, which will be traveling down Queen Street. 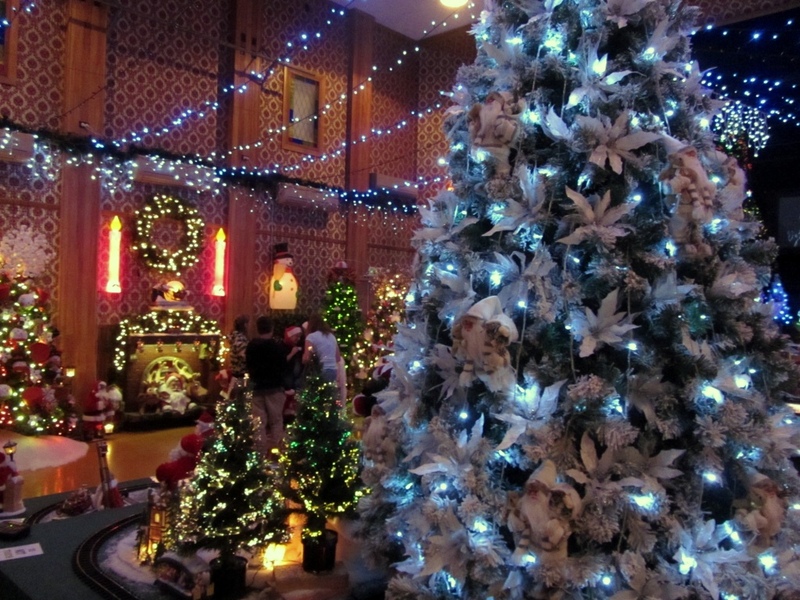 This has been annual Christmas tradition for 80 years.